We're keeping the glow going with another supernova spotlight on a woman owning the ground she stands on and the skin she lives in. 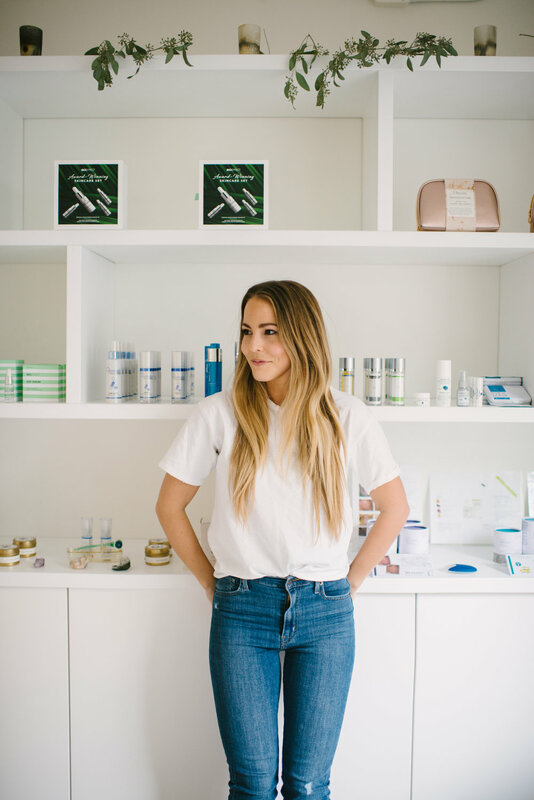 Discover what makes Sam tick and her go-to-Glow routine. GLOW-GETTER ROUTINE: I’m an avid Oxygen Facial gal. Bring on the O2! I also am dipping my toes (and fine lines) into micro-needling. It’s a journey. WHAT GETS YOU EXCITED ABOUT GETTING OUT OF BED IN THE MORNING: Depending on the day it’s a beautiful, chaotic mixture of my business, my drive to make a mark, and my chocolate lab Murphy. Who literally forces me out of bed every morning so maybe that’s cheating. WHAT'S SOMETHING YOU WANT TO CONQUER IN 2018: My entrepreneurial anxiety. The only thing constant about starting a business is change. I’d like to ground myself in that uncertainty and accept the highs and lows more openly. WHAT ADVICE WOULD YOU GIVE YOUR 15-YEAR-OLD SELF: Be brave, this is just the beginning. Also, you don’t look great THAT tanned. WHAT'S YOUR FAVOURITE VICE: I wish it was more original but probably red, red wine. God help me. WHAT DO YOU LOVE MOST ABOUT YOUR SKIN: I like to think I’ve got some nice natural glow. Or maybe that’s the result of the 300 products I use? It’s a mystery I don’t care to solve. WHAT PIECE OF ADVICE WOULD YOU GIVE SOMEONE WHO HASN'T FOUND THEIR GLOW YET: When it comes to external glow, you are probably not an expert. Seek advice from someone kind, caring, and whip smart like Amanda. When it comes to your internal glow, that’s all you. ANY SECRET BEAUTY TIPS: Water, darlings. Water. And Carolyn Bessette-Kennedy because come on. Learn more about Roots + Ardor and go get your glow. We've been pretty fortunate over the past few years to be a contributing partner in some seriously cool women's glow. 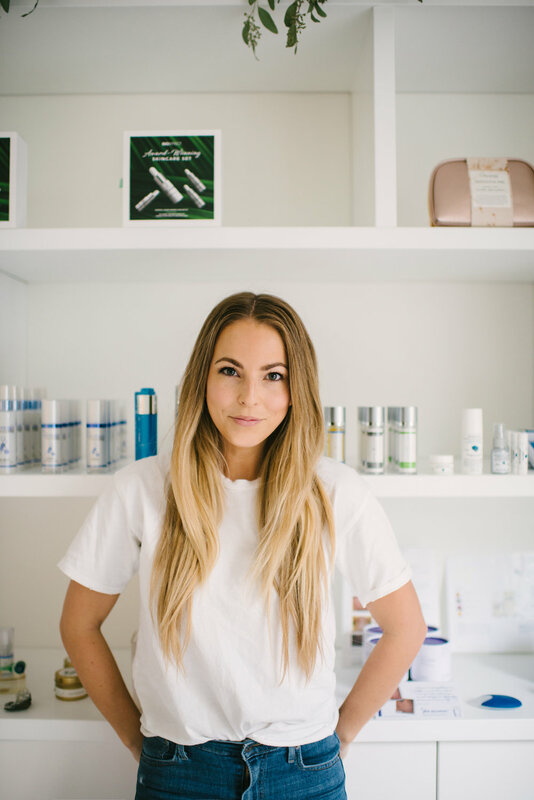 We're diving (skin) deeper into what make these women tick + sharing the details of their go-to Glow routine. WHAT GETS YOU EXCITED TO GET OUT OF BED IN THE MORNING: I usually wake up to the sun coming into our room and the sound of my 5 months old chatting to him self in bed and both those things make me pretty excited. READING + LISTENING TO: Van Morrison and Dolly Parton and reading books on baby food and interior design right now which pretty much sums up my life. BEAUTY ICONS: Jane Birkin and Helen Mirren. Jane Birkin had such an effortless look and Helen Mirren is serious goals. She looks amazing! WHAT'S YOUR VICE: Good food and wine… but maybe that’s not a real vice. WHAT'S SOMETHING YOU'RE GOING TO CONQUER IN 2018: My goal is to get into being more consistent with a healthier lifestyle this year. Seeing my trainer consistently, being outdoors more, eating healthier. I feel like living in Vancouver makes it easy on you so I need to take more advantage of that. WHAT ADVICE WOULD YOU GIVE TO YOUR FIFTEEN-YEAR-OLD SELF: Skin care wise - don’t pick! and don’t touch your eyebrows! Life wise - Have as much fun as you possibly can. DO YOU TAKE SUPPLEMENTS: Since I was pregnant last year I was really careful about what I took and was on a prenatal vitamin and now I’m excited to add different supplements back into my routine. LIST TWO PRODUCTS YOU CAN'T LIVE WITHOUT: Can 1 be the skin care routine I can’t live without haha I really can’t live without Microneedling - it’s changed my skin so much! I’m going to buy the at home roller I saw last time I was in GLOW next because I’m so obsessed with it. That and the dermaviduals lip balm which is weird cause I’m not a lip balm person but I’ve never found anything that actually hydrated my lips like that. SPILL YOUR SECRET BEAUTY TIPS: Amanda! Haha. ADVICE FOR SOMEONE WHO HASN'T FOUND THEIR GLOW YET: I think everyone skin is so different that what works for me wont necessarily work for you and vice versa so I think you have to really experiment with what’s good for your skin and try to find the products and routines that work for you. And once you find that keep it up. I’m very committed to my skin care routine and about seeing Amanda regularly (I see her at least once a month) and trying to eat healthy and drink lots of water. Learn more about @wkrutzfeldt and go get your glow.